Access to UAMS Medical Center is based on the understanding that members of the news media will adhere to all policies and laws related to patient privacy, including obtaining patient authorization prior to disclosure of patient information. 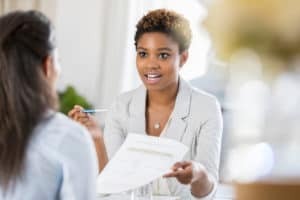 A patient being interviewed has the right, under terms of federal patient privacy regulations, to withdraw consent for press use of his or her identity and protected health information at any time before, during or after the interview. A patient also may terminate an interview at any time. In such cases, the news media must immediately end the interview and any related recording or filming of the interview subject. If the patient also withdraws consent at that time, news media may not release protected health information or in any way identify the patient. Please also note that under federal policies and laws, “protected health information” includes direct or “overheard” conversations between and among caregivers, patients and family members, as well as information contained in medical records. Therefore, while UAMS provides reasonable press access to its facilities, if members of the press should overhear or see “protected health information” that is not covered by an authorization, they must not use or disclose that information without obtaining a specific authorization. To keep inadvertent disclosures to a minimum, restrictions in some areas may be imposed and escorts for all news media film crews and still photography are required.